When you make an official proposal by presenting an oval cut engagement ring to the one you love, it will be worn as a symbol of your promise of a lifelong commitment. During the wedding ceremony it will be paired with the wedding band. The two rings then become a sparkling reminder of a couple’s lasting love and friendship. 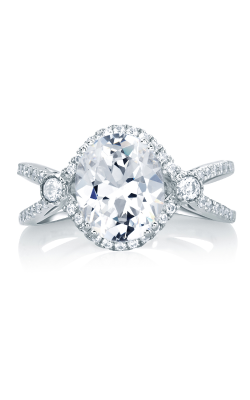 Oval cut engagement rings are timeless and elegant. 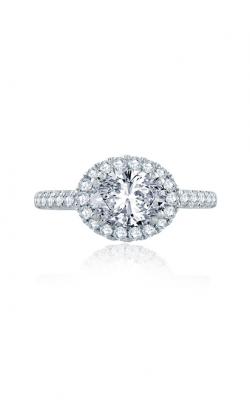 They have been one of the top engagement ring choices of brides for many generations. 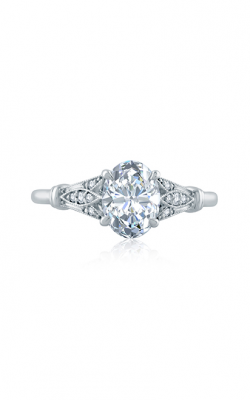 When you shop BENARI JEWELERS you’ll be treated to our luxurious selection of this popular engagement ring style. 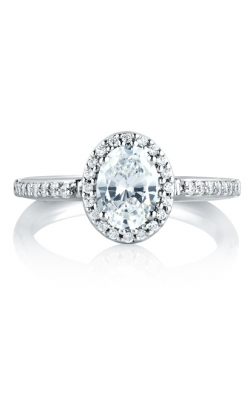 We stock a wide variety of oval cut engagement ring designs, which come from the world’s most beloved jewelry brands. BENARI JEWELERS is proud to be an authorized retailer for Tacori, A. Jaffe, and Artcarved, as well other finely-crafted brands. 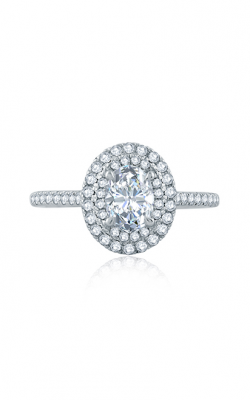 Why Buy Oval Cut Engagement Rings from BENARI JEWELERS? BENARI JEWELERS has been family-owned and operated for over 50 years and during that time we have aligned ourselves with several respected jewelry organizations including; The Gemological Institute of America (GIA), American Gem Society (AGS), and the Jewelers Vigilance Committee (JVC), as well as many others. We stand behind everything we sell! When people in Delaware Valley think jewelry, they think of BENARI JEWELERS. Whether you are looking for an oval cut engagement ring that features a halo, three-stone design, pave, milgrain, engraved details, or even something else; we know you’ll be delighted by the quality, service, and selection that you will find at BENARI JEWELERS. You can shop with confidence at BENARI JEWELERS; we happily offer a 100% Satisfaction Guarantee, a Free Lifetime Service Plan to keep your oval cut engagement rings in new condition, and if your diamonds start looking smaller than you would like, you can upgrade anytime thanks to our Lifetime Diamond Upgrade Policy. As we mentioned previously, BENARI JEWELERS has a lively and diverse selection of oval cut engagement rings with so many amazing styles to choose from. 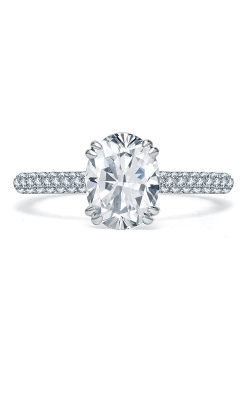 All are gorgeous but we recommend that you start by viewing these collections which include the Tacori Blooming Beauties Collection, the A. Jaffe Art Deco Collection, and the stunning Artcarved Classic Collection. We have a wide variety of oval cut engagement ring styles and loose diamonds to choose from, which will fit anyone’s preference and budget.